Well balanced staple diet made from more than 40 ingredients for the daily feeding of all ornamental fish in community aquariums. The proteins and other nutrients in sera food make the food extremely easy to digest for the fish. 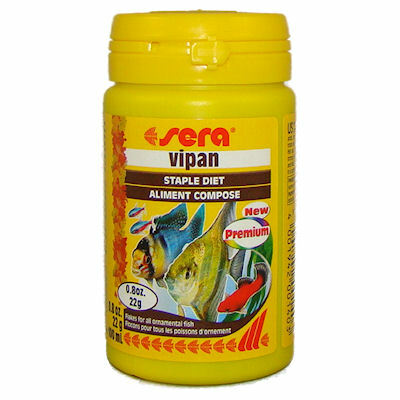 Feeding sera vipan on a regular basis ensures Vitamins, minerals, trace elements and the effects of biological herbs are preserved. Containing the highest quality natural ingredients, sera vipan ensures a rapid and healthy growth.